Medical marijuana is an ever growing field. New locations to purchase medical marijuana are constantly appearing in places where it has recently become legal. This means that many people have a selection of places to choose from. It is easy to say that they must all be the same or that the cheapest price is what you want, but this is lazy and untrue. 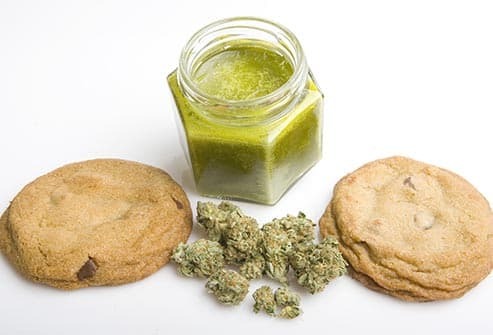 There are many qualities to be aware of and avoid when purchasing medical marijuana. Avoid companies that do not have credentials and qualifications where you can find them. The last thing you want is to accidentally purchase your medical marijuana from a company that is not legal. You do not want to be hassled for making this mistake. Companies that aren’t legal might have less than the best products as well, which brings us to our next point. Avoid companies that cut corners or use products that would not be considered fresh. Cutting corners or using low grade products might save the company and the consumer a few bucks up front, but when it comes to your health, cutting corners is the last thing you want. Paying a little bit more for a better quality product can easily be felt in the physical results. Avoid companies that do not have a polite and well-trained staff. Again, this is your health we are talking about. You do not want to purchase medical marijuana from someone who is less than knowledgeable. This can result in getting the wrong product or being told the incorrect information on how to use the product you purchased. If something sounds wrong, do not be afraid to ask another employee or company for a second opinion. As far as being friendly goes, you have far to many chooses of where to take your business to deal with rude or disinterested staff members. Another thing to be wary of is switching to a shiny, new location. People often get drawn into the newer locations that have fun promotions and cheap sales. These companies will use all kinds of sales tactics to draw you in. This can be used to make up for a lack of selection or lower quality products. These promotions and sales do not last either. Prices can spike after the initial, introductory phase. If a brand new company tries to sign you up for a regular order, be aware that the price might change on you. If you have a company that does not have these fatal flaws, it is time to make sure that it is the right company for you. This is when you can see if they have extra benefits that might make your life easier. Things like phone ordering for quick pick ups can make a trip go so much smoother. An even bigger perk is delivery. There are medical marijuana dispensaries that will send the same, high quality products straight to your door. This is the top level of ease possible. If this is a service that you are interested in, Flash Buds might be the company for you.